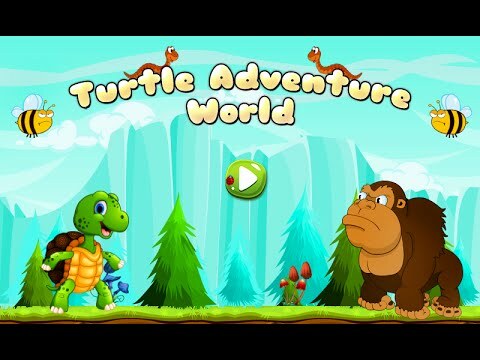 Turtle adventure world is simple adventure game with best graphics and sound effect. it will offer great fun to all aged peoples including kids. Defeat the enemies by throwing stones on them or by jumping on them. Enjoy this cute little turtle adventure game. Everything in this adventure world has been carefully designed for you to have a lot of fun! Good luck! Hope you all enjoy this adventure world. 2. Have One perfectly designed underwater world [Sea background]. 3. Have 20 levels to reach the cruel monkey. 5. Have 20 different sea fish in the underwater world. 6. Have 4 different Boss to defeat. 7. Have dragon power up. 8. Have checkpoints to save the progress in this adventure world. 9. Perfectly designed adventure levels. 10. Have different background music for each world. 11. Have cool sound effects. 12. Support SD card installation.